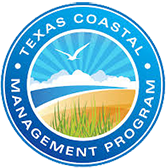 We are in the process of creating virtual field trips and guide books for different coastal environments along the Texas coast. 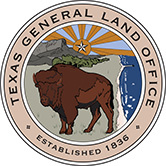 Galveston Island is a sandy barrier island located 50 miles southeast of Houston. The island, which is about thirty miles long and up to three miles wide, separates the Gulf of Mexico from West Bay, which a part of the Galveston Bay system. 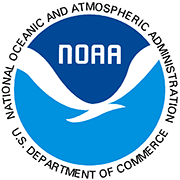 It lies at the eastern end of a nearly continuous chain of barrier islands that extends more than 600 miles along the Texas and Mexican coasts. To virtually explore Galveston Island, please follow this link: http://www.beg.utexas.edu/UTopia/coastal/coastal_what.html. Clicking on the tab labelled "Where," you will see an aerial photograph of Galveston Island with several hyperlinks. By clicking on each "Stop" you can visit different coastal environments on Galveston Island and the northern end of Follets Island. Mustang Island is a 30 km- (~18 mile) long barrier island located between Corpus Christi Bay and the Gulf of Mexico, south of San Jose Island (or St. Joseph's) and north of Padre Island. Mustang Island has a unique and complicated ecosystem. This field guide visits both ends of Mustang Island and traverses the island from the Gulf of Mexico to the edge of Corpus Christi Bay. We will visit and learn about Packery Channel, Corpus Christi Pass, Port Aransas Nature Preserve, the Leonabelle Turnbull Birding Center, and Aransas Pass.